Resource planning applications are mission critical to your effective operations and business continuity. To leverage your competitive advantage, you need access to key business information in real time to enable efficient planning throughout your organization. 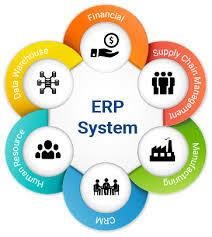 DOTTech offers a long-term partnership to develop, customize, implement, and maintain ERP systems while keeping them flexible to add new features when a new business need emerges. At this early stage DOTTech business analysts, consultants and system architects are fully dedicated to comply project vision, business process understanding, and requirements management. DOTTech secures ERP project success by fully utilizing the strengths in software architecture design, mature project management and proven quality assurance processes. After the solution is deployed, integrated, and the stabilization phase is accomplished, DOTTech provides diligent long-term support and maintenance of the implemented software system. Plan, manage and control your enterprise resources effectively through intelligent analysis and forecasting of demand, available resources and sales opportunities. Create summarizing dashboards of your enterprise key performance indicators (KPIs) for business intelligence to support decision-making. Establish a complete procurement management system; search, create and retain vendor information; track pricing; streamline purchase-order creation; easily manage deliveries and acceptance; ensure quality of all goods purchased. Build and manage production plans as needed, aligning them with demand and available resources; efficiently control production sites, work hours, security issues, and production time. Simplify creation, management and control of your balance sheets, cash flow monitoring, accounts management and reconciliation. Produce financial reports on material, labor, production costs and revenues in minutes. Set up highly automated inventory management; facilitate and automate most recurring transactions; manage all aspects of delivery and track detailed product information. Automate typical human resources processes and staff management; streamline management of employee job histories, payrolls, benefits administration, etc.